This powerful fan moves a massive 17,000 m3/h of airflow at just 173 rpm using only 24 watts! The Zephyr is our own brand beautifully styled, ultra-low energy EC/DC inverter controlled fan. It features 3 elegant solid sycamore wood upward sweeping blades and a hidden slimline compact motor. 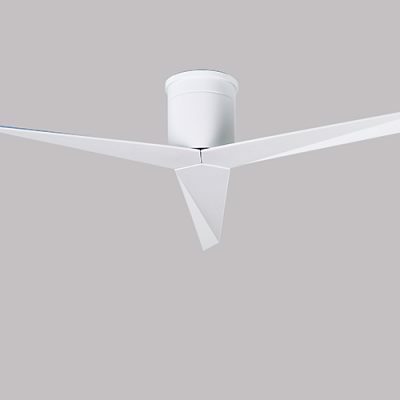 It has large blades, is totally silent and so is perfect for restaurants, offices, bedrooms or large rooms. It can also handle damp humid and salty environments so is ideal for damp conservatories, seaside condos and even boats. NB: 2019 New finishes now in stock – matt black and matt white body and blades in 60″/152cm only. Click and clear options to see valid combinations below and pics to the left – sorry they are not synched yet! Since its launch in June 2016 this has become our best selling and most reliable model. 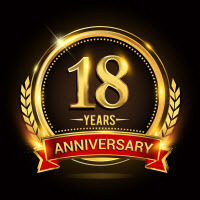 Our customers love them. 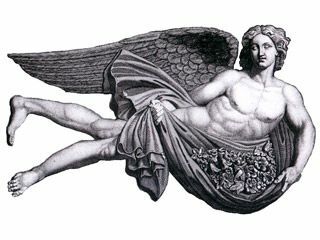 We have aptly named this design the Zephyr, taken from the Greek god Zephyrus, who was god of the west wind, bringer of the light and early spring breezes. It certainly lives up to its name with an unmatched performance! The larger sized 180cm/72″ fan moves a massive 17,000 m3/h of air smoothly with laminar flow, by slowly stirring it at just 65-173 rpm with an incredibly low 24 watts of power! 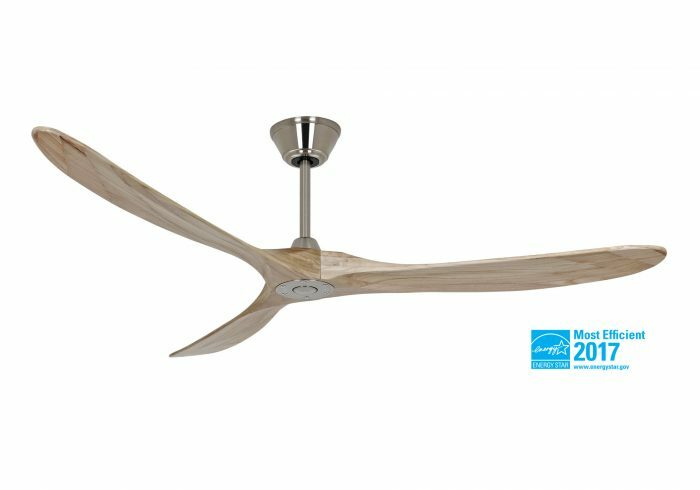 The Henley Zephyr Eco ceiling fan is our own brand fan which means we can offer a great value fan that would normally cost £900 for around £550. It is beautifully styled on an early plane propeller but without the noise! 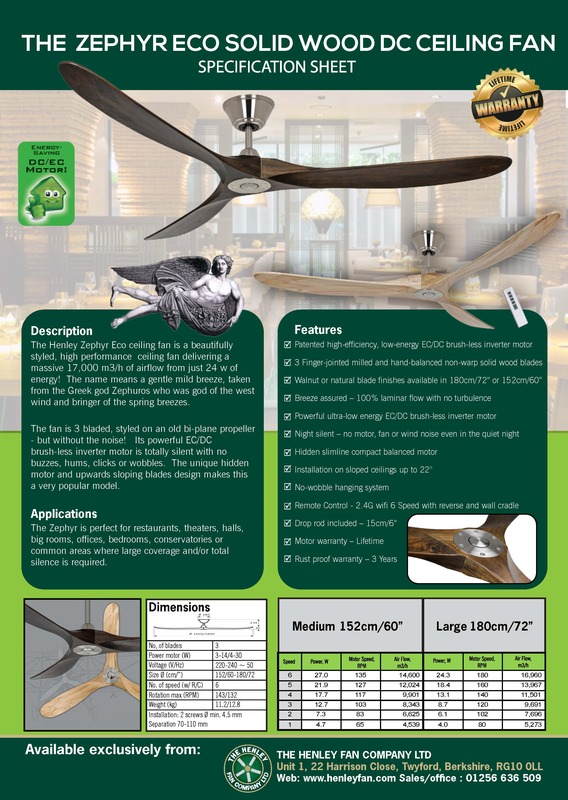 It is an exceptionally high quality ceiling fan made in Taiwan by one of the best manufacturers globally who have been making ceiling fans for over 40 years. It is perfect for restaurants, theatres, halls, large rooms or common areas where large coverage is needed and can easily be achieved with its powerful ultra-low energy airflow. It is in fact totally silent and so perfect for bedrooms where every sound is amplified in the still of the night. 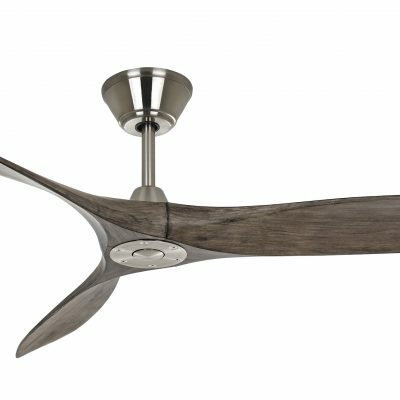 There are no annoying buzzes, hums, clicks or wobbles and more importantly something that is often forgotten about on high performance ceiling fans – no air movement noise or uncomfortable turbulent airflow. This is made possible by the slow moving blade rotation, balanced motors and blades, and having the lowest speed of all our models at just 65 rpm. The blades are machine carved from a solid block of sycamore wood and hand-finished and balanced. Sycamore is a very strong and warp-proof wood but also very light weight. The Zephyr comes with a 2.4G wifi 6-speed remote control, is totally quiet, very efficient and extremely reliable. The stylish design with the hidden slimline very compact motor and upwards sloping blades make this model very popular in many countries where it is sold under different brand names but with only a 10 year warranty. We have increased the specification and so can offer it with a Lifetime Warranty. This is without doubt one of the best quality, best value, best looking ceiling fans that we sell. Variations of the Zephyr are taking the world by storm and it has proved to be very popular in Asia, the Middle East and USA. Now we have made it available to the European market and our customers just love them. Why settle for anything less? Just compare the quality, design and performance with other fans for this price. It is a choice you won’t regret – we haven’t had a single return! Matching housing canopy, drop rod and cover plate metal finishes – Brushed chrome, matt black, white. Blade sizes – Large 72″/180cm, medium 60″/152cm or small 48″/122cm. Blade finishes – Dark walnut, oak grey wash, matt black, gloss white or light natural wood. Blade thickness – 65mm thick. Blade Style – The style is a slightly less pronounced and sharp twisted propeller blade than the Zephyr Propeller model with an apex formed at the motor between the adjacent blades. 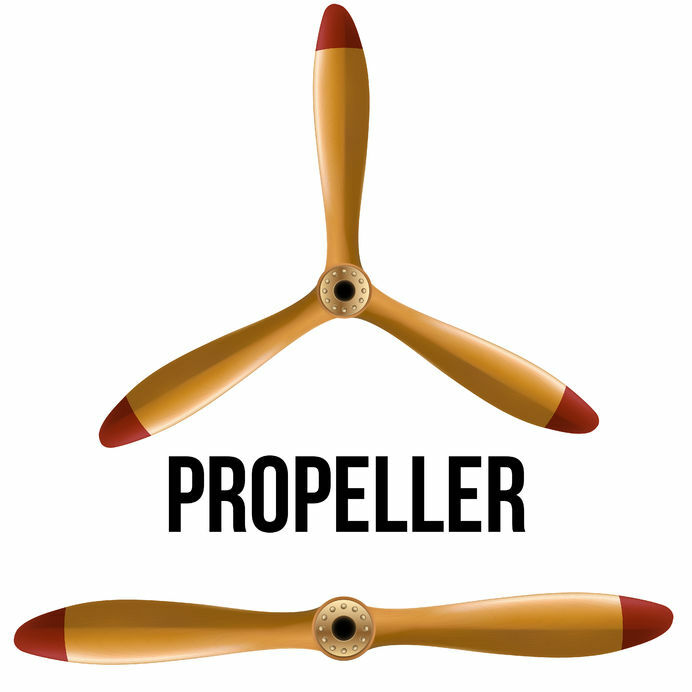 The blade also gently turns up as it flows towards the tips which the Propeller model does not. NB: 2019 New finishes matt black housing and black blades, matt white and white blades now available in 60″/152cm only. Can be mixed and matched. Great style upwards sweeping blades. Totally silent motor and no airflow noise. Remote control – 2.4G wifi 6-speed with reverse and wall cradle. Fully configurable zoning. Airflow rates for large: 17,000 m3/h using 24 W at 173 RPM. Airflow rates for medium: 14,600 m3/h using 27 W at 135 RPM. Airflow rates for small: 4,120 m3/h using 8 W at 151 RPM (slowest speed is 50 RPM). 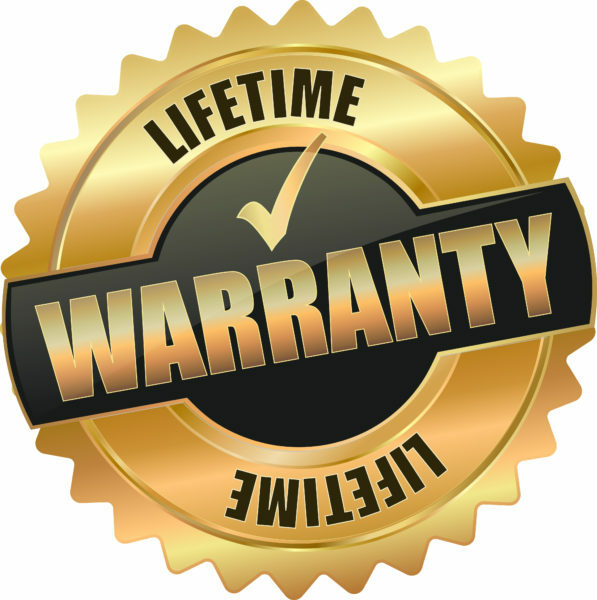 Lifetime Warranty on motor, 1 year on remote and rest of fan. Damp and sea climate use – The motor is suitable for use in outside damp, humid and sea-salt climate locations provided the fan is covered (no direct water, non-IP rated). Ideal for seaside condos and boats or ships (with voltage regulator). We do offer extension drop rods to handle high ceilings and bring the fan down to the recommended 8-10 ft height for the best operation. They can operate higher and will still move the stated airflow but will not feel as strong on the floor. The are available in two lengths 24″/61cm and 40″/100cm and in black or brushed chrome. See the separate listing with prices by clicking the image below. The US 110v sister version of the Zephyr is almost identical, it has the same motor and is called the Maverick and sold under the Monte Carlo brand name. 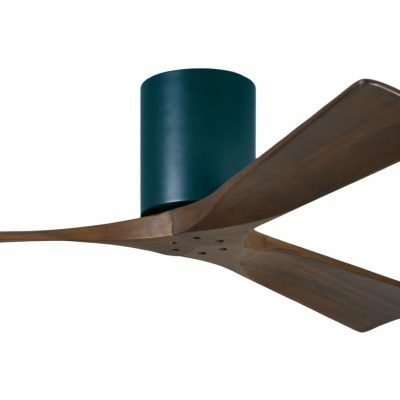 It has rapidly become one of the best selling ceiling fans in the USA and is projected to sell 60,000 units in 2018. 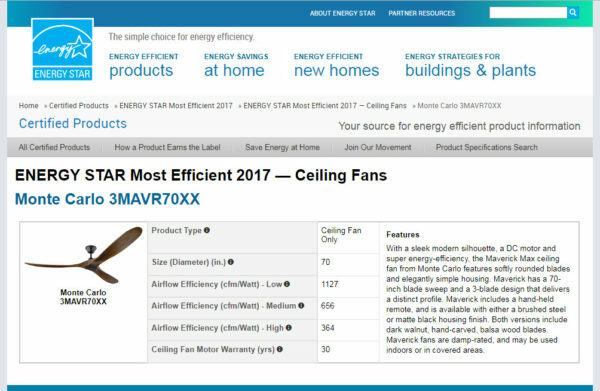 It is one of only a few to be awarded the Energy Star Most Efficient ceiling fan for energy usage in 2017 and 2018 by the US government. This independent body tested it to give an incredible 1,127 cfm/watt. At the heart of a ceiling fan is its motor so lets take a closer look at the unique EC/DC brushless inverter motor in the Zephyr. 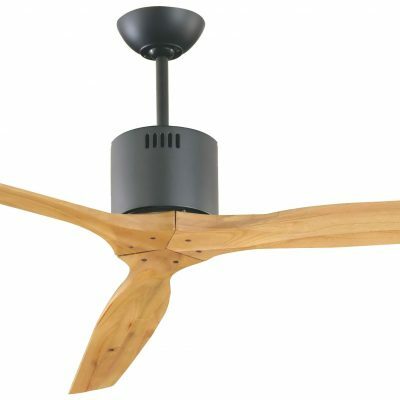 The Zephyr uses a similar motor to the £2,000 Haiku ceiling fan but without the crazy price tag! Taiwan is known to be the World lead in DC vector motor technology and energy-saving inverter controllers not just for ceiling fans but for many appliances such as fridges, freezers and air conditioning. Inverter technology produces energy savings of up to 70% over conventional AC comparing like-for-like airflow. It is called inverter as it converts mains AC to DC to change the wave cycle and then inverts it back to AC to give very precise control and efficiency. The Taiwanese manufacturer spent 3 years of research and development to create this amazing motor (followed by independent testing by the Taiwan ministry of energy). The final patented DC motor driver board that they developed makes the motor run smoother and quieter thus eliminating any noise. 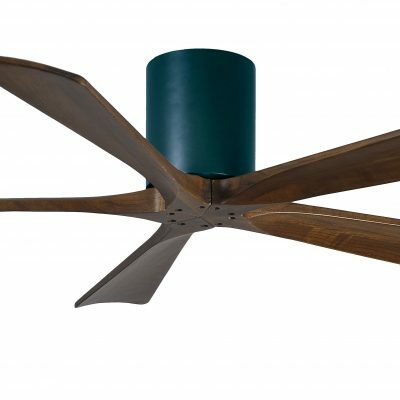 These motors have been in production for a number of years now and are no longer just the preserve of the ultra-expensive ceiling fan models. No Cogging – This phenomena means that a motor with no load a DC motor can sometimes fail to start. But with full sine wave control this is eliminated completely. 2.4G WiFi – Reliable wireless communication technology for the remote control avoids interference and can pass through internal walls easier as well as provide for unlimited zoning permutations. What a brilliant fan – I never knew anything as nice as this existed. 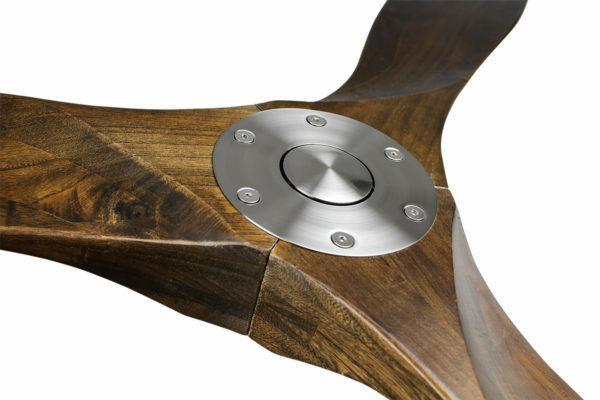 As an interior designer I can appreciate the thoughtful and clever design of the blades and motor. I will certainly be specifying this for my clients. Impressive style and design. It also works magnificently well – I love it! I bought a Zephyr in walnut with the smaller blades and decided after a week that the larger one would be better for my large open plan office. Niki was very understanding and helpful in dealing with the matter and we had our replacement blades the next day. Quality products and service like this are hard to find these days and I would highly recommend Henley Fan. The motor was making a slight ticking noise and so Henley Fan replaced it straight away without any fuss. This took a few days but solved the issue as we needed a silent fan in our bedroom. It looks very nice now it is up.